A devastating, disgusting "Death Stench" is spreading across Japan, creating deadly mutant fish as it covers the land! The country is being invaded by ferocious fish with sharp metal legs, hell-bent on death and destruction! 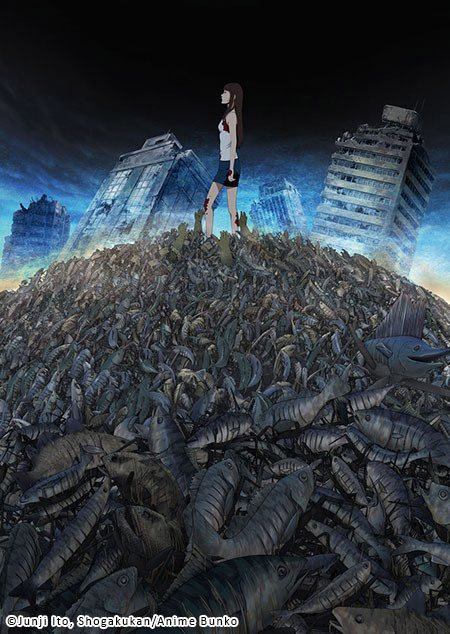 Amidst the carnage, Kaori embarks on a desperate quest to find her missing boyfriend before he is lost to the mayhem that is sweeping the land. Facing four-legged killer sharks, machine driven squid and the myriad dangers of Tokyo, now an urban war zone, Kaori must find the truth behind these mechanical monsters and face an evil greater than she ever could have imagined. 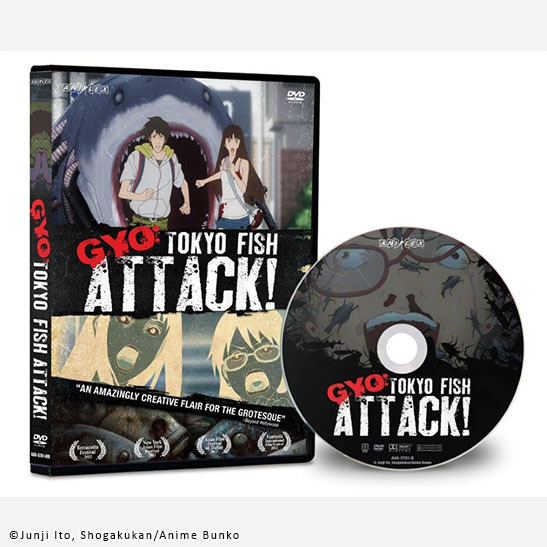 Based on the popular manga from the master of the macabre, Junji Ito (Tomie, Uzumaki), Gyo: Tokyo Fish Attack! is a bizarre thrill-ride that has to be seen to be believed.